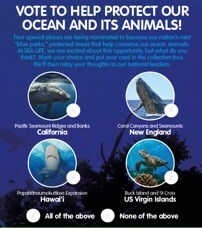 Zoos, aquariums, and museums (ZAMs) are uniquely positioned to help advance ocean conservation. Since its founding 20 years ago, The Ocean Project has supported our partner ZAMs to do so, including providing ways to get involved with conservation policy. Since 2010, we’ve been steadily ramping up opportunities for ZAMs – both individually and collectively – to engage on policy issues, including federal (US) appropriations for environmental education, campaigns for marine protected areas, including rallying our network on protection of Antarctica and the Southern Ocean, and supporting our network of ZAMs and others to get more involved in plastic policy at a variety of levels. With thanks to the Gordon and Betty Moore Foundation, in 2017 we launched a new initiative to support ZAMs in getting more involved to effectively inform science-based federal fisheries policy and advance action for healthy, sustainable marine ecosystems. Ocean conservation is at an important juncture in the U.S., with reauthorization of the nation’s primary law governing management of our fisheries, the Magnuson-Stevens Fishery Conservation and Management Act (Magnuson-Stevens Act), one of the strongest national statutes governing management of marine fisheries. The Ocean Project is now expanding our conservation policy engagement initiative, and looking to collaborate with more ZAMs. The focus is U.S.-based visitor-serving institutions but some of the lessons learned can be -- and already have been -- applied to other issues and in other countries. Please let us know if you would like to get involved or have any suggestions on how we might be able to better support your efforts around conservation policy engagement. The "Making Conservation Happen" webinar series focuses on how to strategically, safely, and cost-effectively get more involved in conservation policy engagement and advocacy. The webinars are recommended for those who interact with guests, community partners, public officials, and supporters. Sign up here to get information on upcoming webinars. 2019 webinar schedule: April 5; May 3; June 14; July 12 (off for August); September 6; October 4; November 1; December 6. Held (mostly) on the first Friday of each month during the lunch /brunch hour (1pm east coast/10am west coast), these webinars are a great opportunity to host a professional development session with your team. Webinar #6: Beyond Congress: Executive Branch Processes that Can Advance Conservation for the Ocean, Fish and Other Wildlife (PDF) with Kris Sarri, President and CEO, National Marine Sanctuary Foundation; Kerston Swartz, Public Affairs and Advocacy Manager, Woodland Park Zoo; and coordinated by Tom Adams, Policy Advisor for The Ocean Project. Sign up here to get emailed info for upcoming webinars. In Spring 2018, The Ocean Project partnered with three aquariums -- Mystic, Texas State, and Seattle -- to test whether the community can effectively engage the visiting public about science-based fisheries management in a way that raises their awareness, documents their opinions, and enhances their experiences. Overall results were remarkably clear and consistent, and in keeping with the foundational finding from our earlier efforts that ZAM visitors expect, trust and appreciate information about how they can help advance conservation efforts, even when engaging them directly on a policy issue as opposed to a personal behavior (the focus for much of what we had done in the past). As a result of the successful pilot project, we are now expanding our visitor engagement support with ZAMs in 2019 and 2020. Let us know if you'd like to get involved! To complement the webinar series and provide the latest updates on the conservation policy engagement initiative, we have an ongoing blog series, including posts from some of our key partners who are doing cutting edge work in this space. Like the webinars, part of the purpose of the blogs is to help demystify advocacy and provide ZAMs and our other partners with a better understanding of how your institution can meaningfully engage on issues important to your mission. 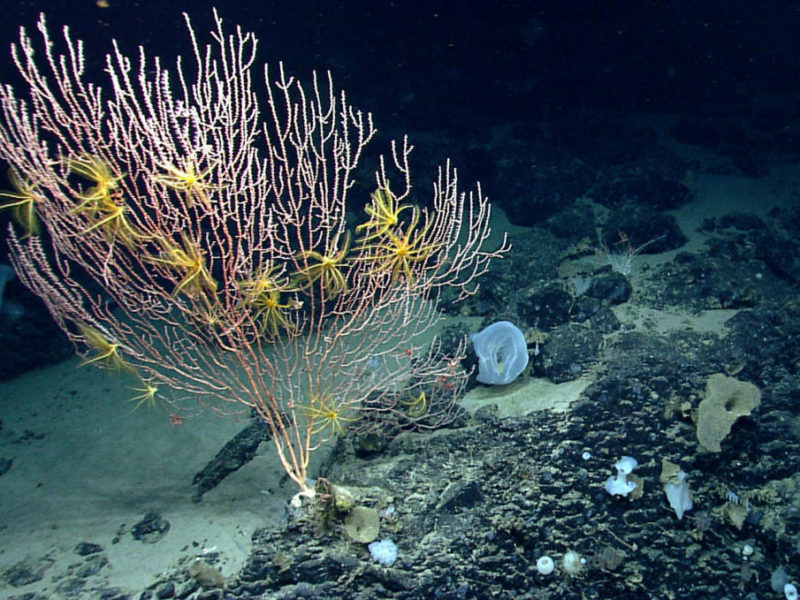 Thank you, President Obama, for Designating the Northeast Canyons and Seamounts Marine National Monument!